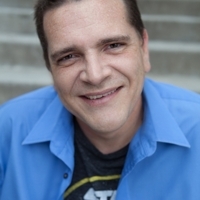 Chris Rager has performed for years as the voice of Hercule Satan from Dragon Ball Z. He’s worked for FUNimation for several years, also doing voices for shows like One Piece, Case Closed, D. Gray-man, and many others. Voice Actor, Single Father and Savior of Worlds. Currently residing in Dallas Chris Rager has been bringing you your favorite Anime and Video Game Characters Like Hercule from DBZ and Mr. Torgue in the Game of the Year Borderlands 2. When not being challenged by his daughter he takes on challenging roles Like the Principal in Assassination Classroom as well as Dagger Morse in Show By Rock. There is more that’s what Google is for. In the future, Chris hopes to bring more excitement and explosions to more characters and opportunities! !